HONG KONG Hong Kong was silent Saturday on whether a former National Security Agency contractor should be extradited to the United States now that he has been charged with espionage, but some legislators said the decision should be up to the Chinese government. CBS News senior correspondent John Miller, a former assistant deputy director of national intelligence, said on "CBS This Morning: Saturday" that the extradition treaty between the U.S. and Hong Kong has "been used a lot" and has been enforced since 1998. "That's the good news, which is this won't be a rusty process," said Miller. "The complicating factor is it's a complicated process." It is not known if the U.S. government has made a formal extradition request to Hong Kong, and the Hong Kong government had no immediate reaction to the charges against Snowden. Police Commissioner Andy Tsang, when asked about the development, told reporters only that the case would be dealt with according to the law. A police statement said it was "inappropriate" for the police to comment on the case. When China regained control of Hong Kong in 1997, the former British colony was granted a high degree of autonomy and granted rights and freedoms not seen on mainland China. However, under the city's mini constitution Beijing is allowed to intervene in matters involving defense and diplomatic affairs. 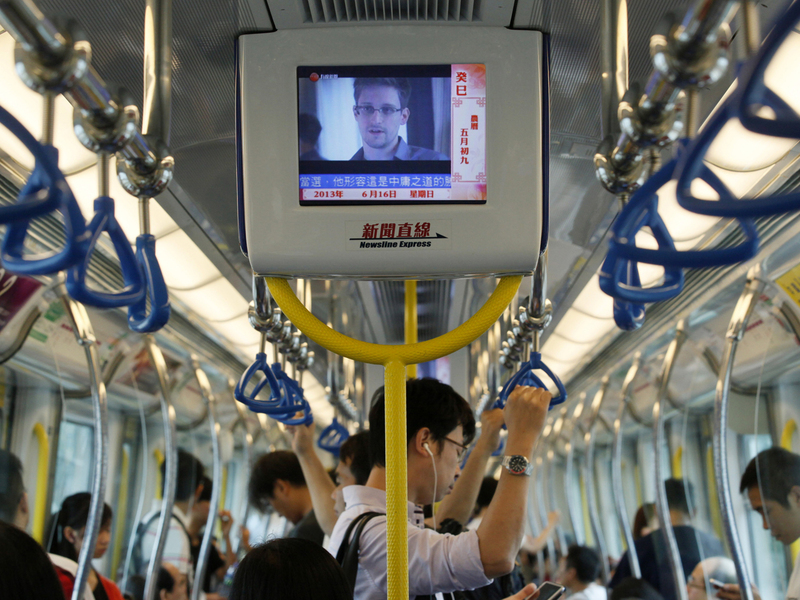 China has urged Washington to provide explanations following the disclosures of National Security Agency programs which collect millions of telephone records and track foreign Internet activity on U.S. networks, but it has not commented on Snowden's status in Hong Kong. A formal extradition request, which could drag through appeal courts for years, would pit Beijing against Washington at a time China tries to deflect U.S. accusations that it carries out extensive surveillance on American government and commercial operations. Snowden's whereabouts have not been publicly known since he checked out of a Hong Kong hotel on June 10. He said in an interview with the South China Morning Post that he hoped to stay in the autonomous region of China because he has faith in "the courts and people of Hong Kong to decide my fate." Tsang said in interview broadcast on local television that he could not comment when asked about a local newspaper report that Snowden was in a police "safe house." A one-page criminal complaint unsealed Friday in federal court in Alexandria, Va., said Snowden engaged in unauthorized communication of national defense information and willful communication of classified communications intelligence information. Both are charges under the Espionage Act. Snowden also is charged with theft of government property. All three crimes carry a maximum 10-year prison penalty. The complaint will be an integral part of the U.S. government's effort to have Snowden extradited from Hong Kong, a process that could become a prolonged legal battle. Snowden could contest extradition on grounds of political persecution. "Some asylum seekers came to Hong Kong 10 years ago and still haven't had their protection claims assessed," Sutherland said. Organizers of a public protest in support of Snowden last week said Saturday that there were no plans for similar demonstrations this weekend.